As Best Of season comes around each year, we put our heads together in early fall to come up with a theme for what is always our biggest issue of the year. We started out with a loose idea based on royalty and monarchy—like the various best of winners are the kings and queens of the respective fields. Or something like that. 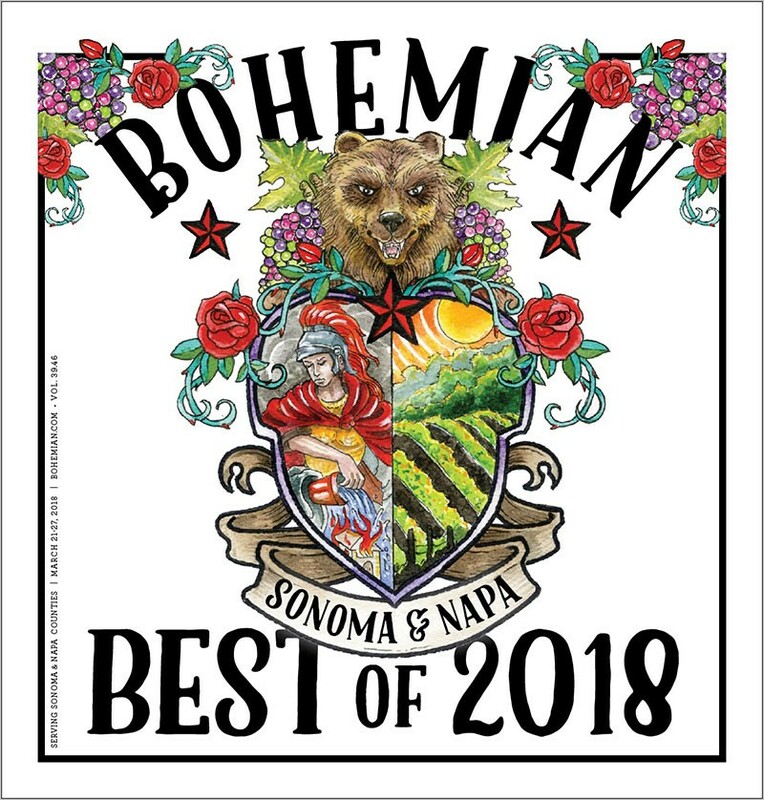 For cover art, the idea was to create a coat of arms or shield that represented the many splendid things in Sonoma and Napa counties. It sounded like a plan and we set to work on the issue and commission the artwork. Then the fires hit. All thoughts of our Best Of issue went out the window while we focused on making sure all of our staff was safe and reporting on the fires and the aftermath. When the smoke finally settled and we could take a breath and turn our attention back to the Best Of issue again, I knew we'd have to change our plans. The fire was the story of the year, and an issue that celebrates what's great about our corner of the North Bay would have to reflect that. The unofficial theme became the best of Sonoma and Napa counties in the worst of times. Each section of the issue you now hold begins with a story or profile that highlights how people and organizations rose to the challenges the fire presented and did something exemplary. With only nine sections, we were limited in space but could have added many more stories of North Bay residents at their best. The stories of sacrifice and heroism exhibited by the thousands first responders could fill a library. As for the cover, we stuck with the coat of arms idea, but, as inked by the great Sonoma tattoo artist Shotsie Gorman (our vote for best tattooist), the image reflects the beauty, resilience and strength of the North Bay and the courageous and generous people who rose to the occasion during the fires. You are the best! Thanks to the many writers who helped out with this issue: Tom Gogola, Charlie Swanson, James Knight, Jonah Raskin, Amelia Malpas, Alex T. Randolph, Sierra Sorrentino, Bryce Stoepfel and Richard von Busack.